The Finance Ministry of Ukraine plans next week to start consultations in the Cabinet of Ministers of Ukraine on the approval of a concept of the State Fiscal Service, in particular, the division of the authority into customs and tax services is being considered. "We are at the final stage of working out the concept of the State Fiscal Service reform inside the Finance Ministry. 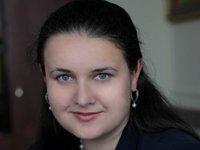 Starting next week we plan to begin broader consultations and submit the reform concept to the Cabinet of Ministers," Finance Minister Oksana Markarova said at a press conference on Friday. According to her, the concept of the Finance Ministry provides for the division of departments in the customs and tax services. "We have planned [in the national budget for 2019] that up to 10% of extra-target customs revenues can be used both for the purchase of equipment, for example, scanners, and for the reform process, including labor remuneration," she added.